I am so excited to share this with you today! 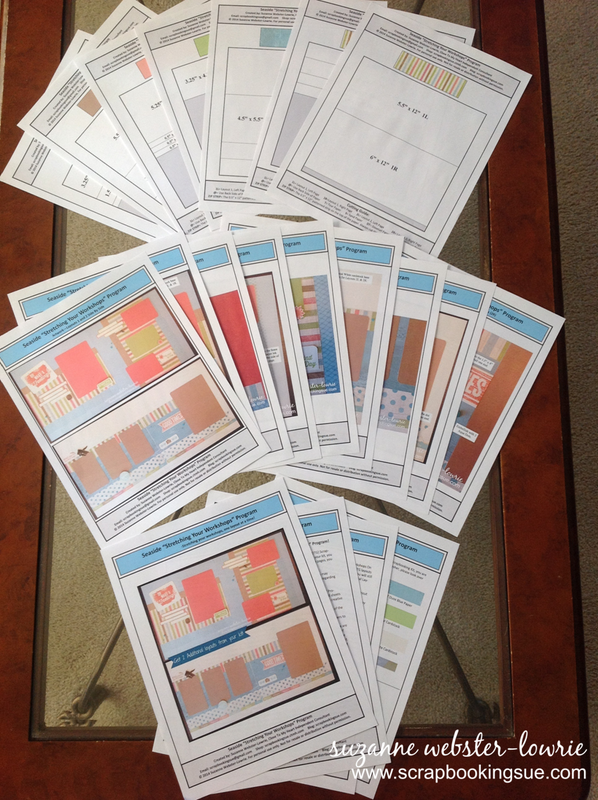 About a month ago, I launched my new program called, “Stretching Your Workshops.” This program is meant to compliment the Close To My Heart Workshops On The Go (WOTG) Scrapbooking Kits. If you have ever purchased and completed a WOTG kit, then you know that you are always left with a ton of supplies! Well, this program helps you use those supplies by creating 2 additional scrapbook layouts from your kit! If you would like to know more about this FREE program, please click here to find out all the details! Since I have been getting questions about the program and what is included in the PDF e-files, I printed out the files and spread them out on my living room table yesterday, and took the picture above. THAT is the 20 page guide that you will receive (as emailed PDF files) for the Seaside “Stretching Your Workshops” program! And all for FREE when you purchase your WOTG kit. I want to give you as much value for your purchases as possible! To order your CTMH Workshops On The Go Scrapbooking Kits, please click here. To find out more information about my “Stretching You Workshops” Program, please click here. If you have already purchased your kit and would like to receive the e-files, please email me here.